Pathanamthitta (Kerala) Nov 26 (IANS) Everything about this 57-year-old retired zoology professor is unique -- and what stands out is her abiding compassion for the deprived. In 11 years she has built new homes for 78 people in a sterling example of philanthropy in a region where Gulf emigres build extravagant homes radically altering the rural landscape. Her altruism started back in 2006 when it came to her notice that one of her poor students was living in an unsafe home. She decided to rectify that. 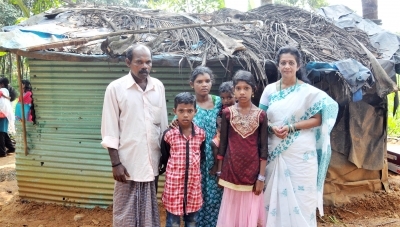 There was no stopping her after that as she went on to build 77 homes in her home district of Pathanamthitta and one in nearby Kollam district where most home construction is funded by Keralites working abroad. Starting with her name M.S. Sunil -- a name that s generally not associated with a woman -- she has been treading a different path and is moving forward more aggressively in pursuit of her passion . In a brief chat with IANS Sunil said it was by sheer accident that she began her home-building spree. "In 2006 it came to my notice that one of my students was living a tough life in an unsafe home. I was then part of the National Service Scheme (which focused on development of a student s personality through community service). We decided to build a home for the student. We collected Rs 60 000 for it and a brand new home was completed " said Sunil. After that she decided that she would not continue with a collection drive as it was cumbersome and decided to look for a single sponsor. But soon cash-rich people started approaching her and gave her money to build shelters for the homeless. She completed her 78th house last month. "After my retirement from the college last year I am fully involved in my passion. 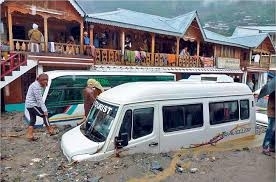 At the moment work is going on for eight homes of which six are almost complete " Sunil said. Explaining her process of selecting beneficiaries she said now that she has been building homes for close to 12 years many poor people approach her with requests for helping them. "The first thing I look into is if the needy person comes from a family which has women. I then make my own enquiries about the family and if they are in need of a home. Of the 78 homes that I have completed land was bought for just two. In all the other cases either the beneficiary had land or in some cases the local village councils gave the land " Sunil said. As for the funds required she said while the first home cost around Rs 60 000 the last one that has been handed over cost her Rs 2.50 lakh. "Given my track record several people contact me and give me the money. As a rule I do not involve more than one person contributing to a single home. But there are times when generous people call me and say they can afford only so much. If I were to quantify the amount of my own money that I have invested I will get a heart attack -- as I put in my money to complete a house if there is a shortage " Sunil said rather modestly. Out of the six new homes which are now almost complete four have been sponsored by a US-based family. On the time required to complete a home she said the least time from start to finish she has taken is 22 days -- while generally it takes around 50 days. The size of the home varies from around 300 sq feet to 450 sq feet and is built on a strong foundation. It will have a minimum of two rooms and the roof comprises galvanised sheets. She says she takes up the work only in and around her home district as she ensures her presence on almost all days when the work begins. "While in college I used to rush to the site after 3.30 p.m. Now that I am retired I have all the time to pursue my passion " said Sunil. Incidentally her businessman husband has also chipped in and funded one home while their only son who is completing his studies in Ireland always checks with his mother to find out how her passion is going forward. Sunil said that all this would not have become a reality but for the generous sponsors who are mostly working abroad. Now she says with her track record she is confident that she will be able to facilitate many more homes. Already there are a dozen homeless families waiting for her and she in turn is waiting for sponsors.